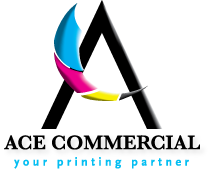 Ace Commercial has all the necessary equipment and expertise in all existing forms of binding and post-printing processes. This allows us to meet all of our customer’s needs, whatever they may be. We possess extensive research into various printing methods which includes a patent for reverse saddle-stitching and other methods to make various oversized books. Ace Commercial can handle the most complicated of orders.